With King Jesper dead and Prince Wilhelm mortally wounded, Halfling prince, Nash, and the Fulfilment, Layla, assume the throne of Etherea. They must contend with a new Prophecy Candidate who asserts herposition, and Layla is surprised to find her fate intertwined with this challenger. Facing a myriad of choices, Nash and Layla’s decisions affect not only their own futures but that of two kingdoms.Unbeknownst to the Ethereals or the Vanguards, a slumbering menace stirs in the south, awakened aftercenturies of slumber. The mysterious Outlanders, a force shadowed in mystery, sit poised to tip the balance of power, sending ripples of fear throughout both warring kingdoms.Elder Werrick proved a formidable foe, but Layla may yet meet her match in the monstrous Outlander queen. This mistress of the dark’s plans, rooted in revenge and ancient lore, now threaten the livelihood of all three kingdoms.Racing against time, Layla travels to the Borderlands—home of the Voltons and Ecclesiastics—to discoveras much as she can about the war, the First Ones, and the prophecy itself. Lives teeter in the balance, kingdoms sit on the cusp of ruin, and a beast, greater than any she’s ever faced before, plots a catastrophic attack. I am sitting here staring at my computer trying to think of the best way to describe this tale. A tale full of mystery, intrigue, danger, friendships, and love. Oh the love, this book is the mother of all love triangles. I typically am not one to get all wishy-washy about who I believe should be together. It doesn't always work out the way I hope, but I almost always am able to say who I think it should be, but not in this story. I am so torn up about the love triangle in this that I can barely see straight. Who will it be in the end Layla and Wil or Layla and Nash and who do I want it to be? Gah, I have no idea thy are both two halves of an amazing whole...really I think maybe they should just all live together in some happy little three-some so I can find peace and no one gets hurt, haha. The story of The Outlanders picks up right where we left off in The Prophecy. The battle between the two armies has been fought, but the battle for the Kingdom, for peace and for Wil continues. Wil has been struck down by 'King' Vance and we watch as he slowly begins to slip away. He's given the kingdom to Nash and Layla as well as given them his blessing. With Wil on his deathbed, the kingdom of Etherea in turmoil Nash, Layla and the Queen Mother will be lead to make difficult and painful choices while struggling to understand the secrets of the First Ones, and their roles in the prophecy. Add to that a new player to the game, Mia...self-proclaimed Fulfillment. Could she be the real Fulfillment and not Layla or is she playing her own dangerous game? Layla is as strong as ever. I loved in The Prophecy how she never backed down. Does she question herself everyday, her faith waivers, her belief in who to trust falters, but she never gives up on doing what she knows to be right. She is loyal to her family, to her friends, and she is trying to be loyal to her heart. The last proving to be the most difficult. I suppose that is the only thing that truly bothers me when it comes to Layla her back and forth and indecision when it comes to loving Nash and Wil, but then again with Elder Werrick's binding, the turmoil that she is continually thrown into and the fact that she spends so little time with Wil or Nash individually I can understand her not being able to differentiate between platonic love and 'physical' love. I missed seeing more of Nash this book, his situation takes him out of much of the action and I would have really liked to have gotten to know him better...but that leaves me to hope in the next book we will see more of him. What I can say about Nash is that my heart is breaking for him. I don't know where his story is going, but I am afraid it will be one rife with heart ache and disappointment. Please, Please prove me wrong Erin Rhew. He is an amazing character, (as are Wil, and Layla) strong, loyal, and caring. I suppose he would be considered the bad boy of the trio, but considering what he learns about his family and they way he grew up you can't blame him. Also his bad boy streak is simply his need to take care of those he loves and he will do it his way. Quick discussion on Mia...I don't like her, I don't trust her and neither should you, haha. I don't know what she has planned but I think someone could use a little torture to get it out of her. She's cunning (or at least trying to be) and she's using everyone for her own benefit I just wish I knew what it was exactly. She's always there, but a bit in the background. I think that would be my only negative for this book. Mia is brought in as this new integral character but by the end we really know nothing about her and seriously I just want her gone, haha. All in all I am really loving this tale and am so glad to have had he opportunity to read it. 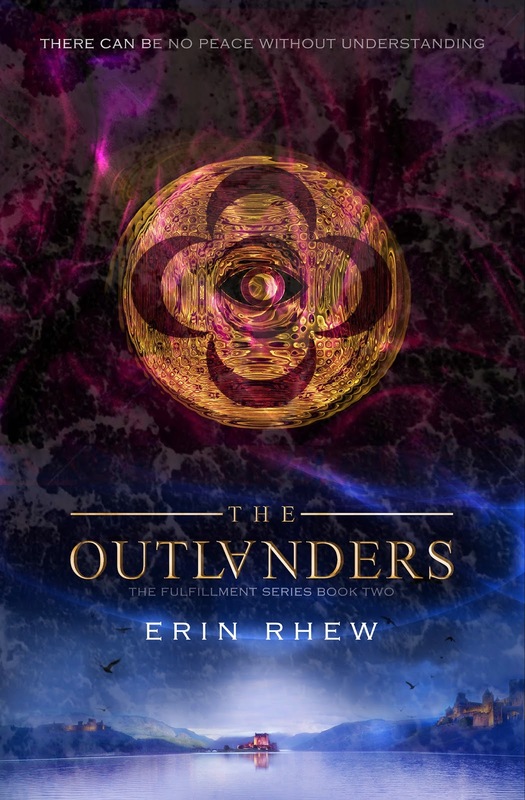 I think Erin Rhew does an amazing job building the world these characters live in. Her characters are characters that you can't help but love (well, except Mia *wink*) and feel for. They are loyal and dedicated to one another, something we don't see a lot of these days. I'd like the mystery to unfold a bit faster, but that is simply because I lack patience and I want to know what is going to happen. We've been left with another cliffhanger, left not knowing what is happening to Nash, but knowing he's likely broken, left with out answers about Mia, and left still in the midst of this love triangle that is going to leave my heart a achy mess on the floor I am afraid. This is a wonderful story for any one who loves paranormal or fantasy books. Don't let this one pass you by! 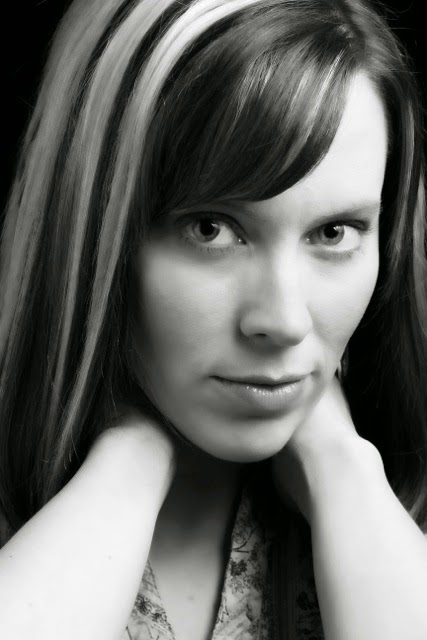 Erin Rhew is an editor, a running coach, and the author of The Fulfillment Series. Since she picked up Morris the Moose Goes to School at age four, she has been infatuated with the written word. She went on to work as a grammar and writing tutor in college and is still teased by her family and friends for being a member of the "Grammar Police." A Southern girl by blood and birth, Erin now lives in a rainy pocket of Pacific Northwest with the amazingly talented (and totally handsome) writer, Deek Rhew, and their “overly fluffy,” patient-as-a-saint writing assistant, a tabby cat named Trinity. She and Deek enjoy reading aloud to one another, running, lifting, boxing, eating chocolate, and writing side-by-side.